Where: London School of Capoeira, 1-2 Leeds Place, Tollington Park, N4 3RF. more than ten years of acrobatics training within European acrobatics. how to collaborate with creativity and belief in your potential. 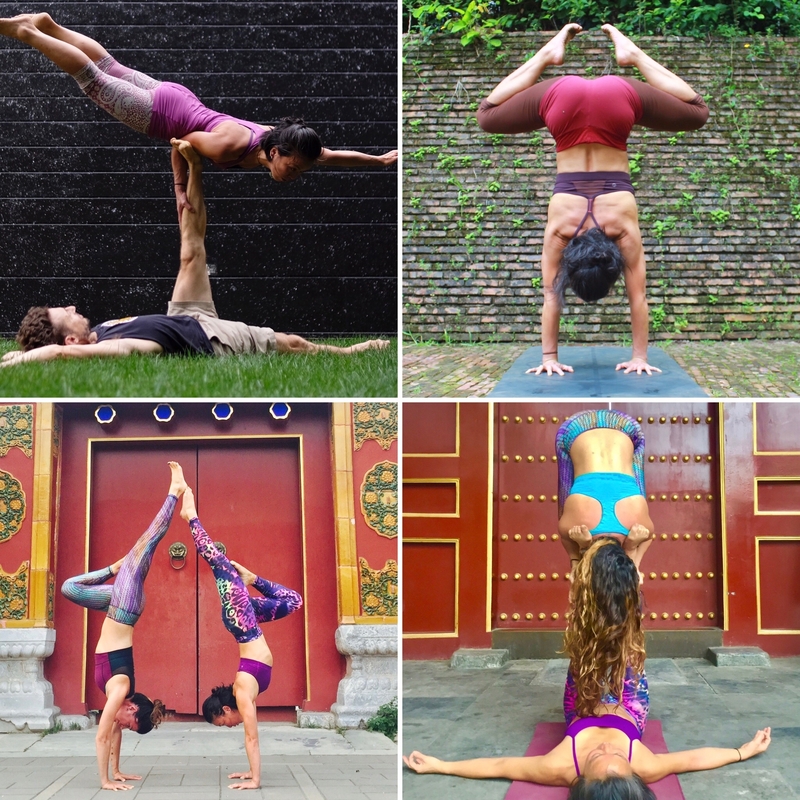 how to train AcroYoga with longevity with self-care making it a marathon, not a sprint. If you are new to the practice and want to cover the foundations. If you have been going to the acroyoga jams and want to get your head around the principles of AcroYoga. If you want to improve your AcroYoga practice, through strong foundations are you able to evolve and grow. Discover the world of being upside down, compliment your climbing skills by the are of balancing on your hands. This workshop welcomes climbers and yoga practitioners who are keen to discover their hands and arm balancing potential. You will learn the alignment techniques, strength elements, the embodiment of inversions and taking weight on your arms and hands. We will build it up progressively working on upper body stamina, core conditioning and wrist awareness. Come with an open mind and willingness to be upside down. 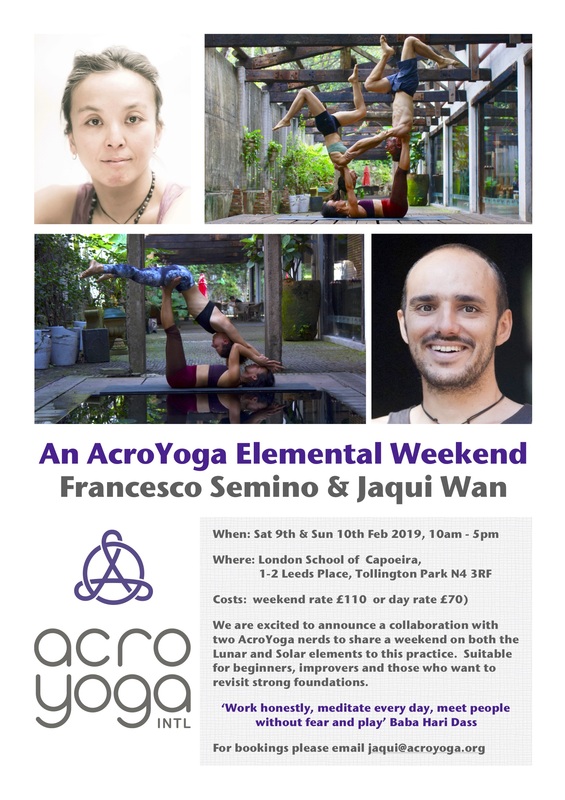 We are super excited to announce as part of This Yonder’s launch weekend an all levels workshop on AcroYoga; the practice that combines yoga, partner acrobatics and healing arts. Our aim to encourage you to move, connect and play.